Vaping Community e-liquid Calculator - What can you make? Ah, yeah, I should put a check in for that. It should only show recipes where the complete flavour selection in a recipe matches your stash flavours. See what recipes you can make with your current stash, where the selection of recipe flavours match your stash flavours. 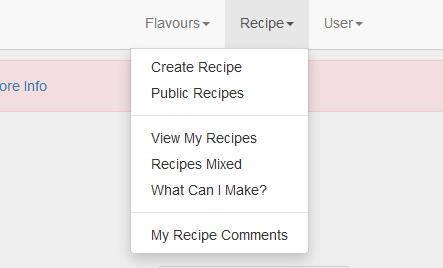 See which recipes you’ve mixed, works for all recipes mixed using the Mix This button. That sounds like a killer feature!!! 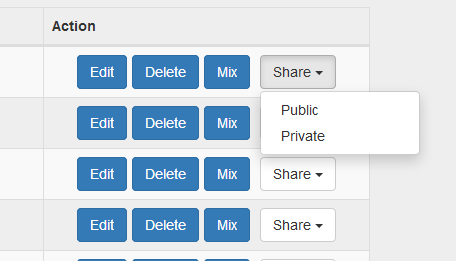 After mixing a recipe you can now update your stash amounts using the Update Stash Amounts button on the recipe page. Note: If you have an amount of 0 it will not remove anything. Added Edit / Delete buttons to flavour stones, if you edit a flavour stone name it will automagically change it in all recipes. Deleting a stone will not remove it from recipes. Any changes made to the flavour DB should reflect right through the site now, including recipes and flavour stash. Removing flavours from the master list WILL NOT remove them from your recipe, so expect errors for now. Add flavours from a recipe to the stash, User Defined and Stones will not be added. Added the number of ratings a flavour has. Added a searchable drop down for company name / link to suggest new company name. 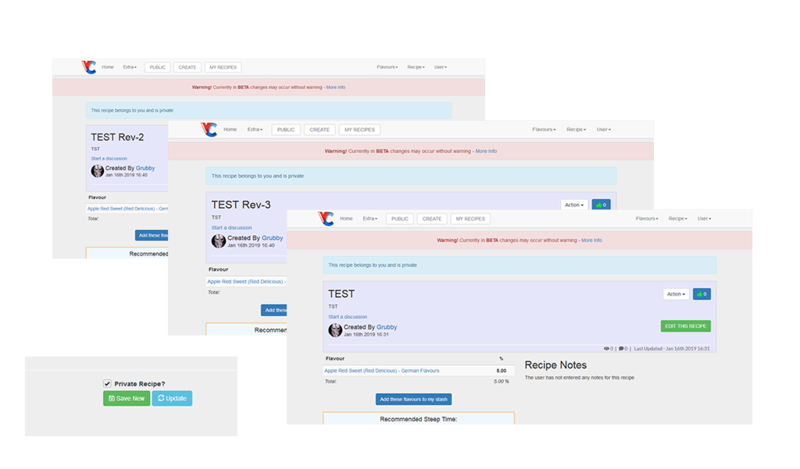 When editing your recipes you will have the option to update or save your current recipe, when using the Save New button you will create a new revision of your recipe with the suffix Rev-n, where n is the revision number, making it easy to look back at previous versions. When your recipe is complete, simply rename it and click update or if you are ready to release the recipe, simply untick private, rename it and click update.